In an unprecedented and intensifying flood, 60 million people around the world have become refugees, often escaping war in places like Afghanistan Sudan, Syrian and now Myanmar. Of these as many as 50% suffer from trauma and mental health problems. 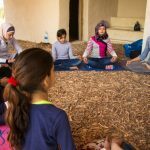 To respond to this need, Tools for Inner Peace has focused on offering free refugee yoga classes. 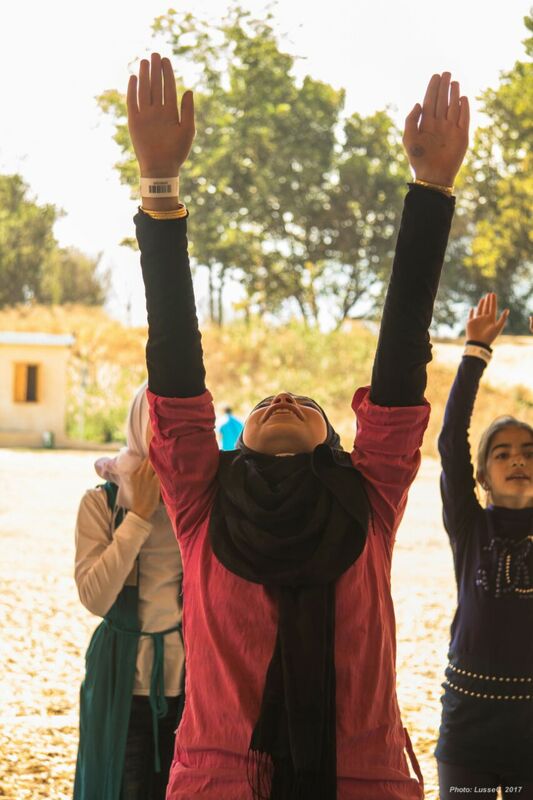 Our first classes for refugees were launched in London in 2016; from the beginning of 2017 we decided to take this work to Syrian refugees in Lebanon. Lebanon is the country that currently hosts the greatest number of refugees per capita anywhere in the world. Besides half a million Palestinian refugees and several hundred thousand Iraqis and Yazidis, the war in neighbouring Syria has sent another 1.5 million refugees seeking safety in Lebanon. I tried yoga for the first time in my life. Every moment was full of joy. I learned how to go deep inside my brain and soul and search for the peace of my mind. 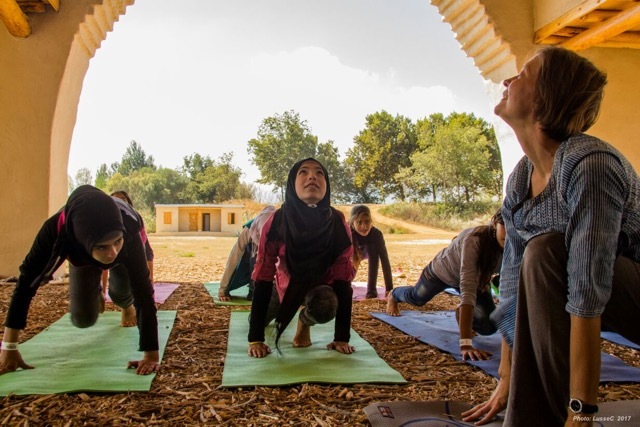 To expand this work and make yoga accessible to refugees everywhere, we need your help, whether in donations or by giving your time volunteering. 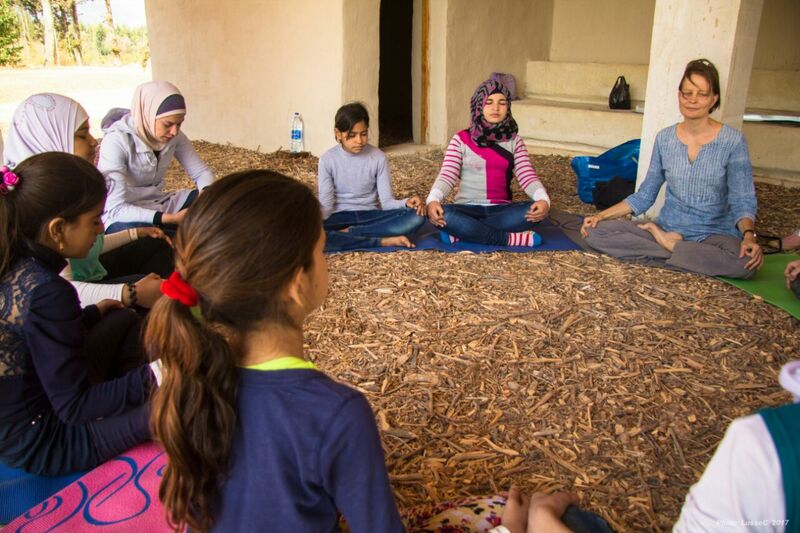 In Lebanon, our Yoga for Peace work with Syrian refugees is coming into its second year. We will be handing over to local yoga teachers to keep it growing and make it sustainable. 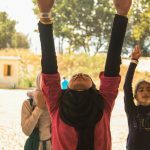 Our Lebanese partner, Salam LADC, has launched a campaign to raise stipends for them; donate now. 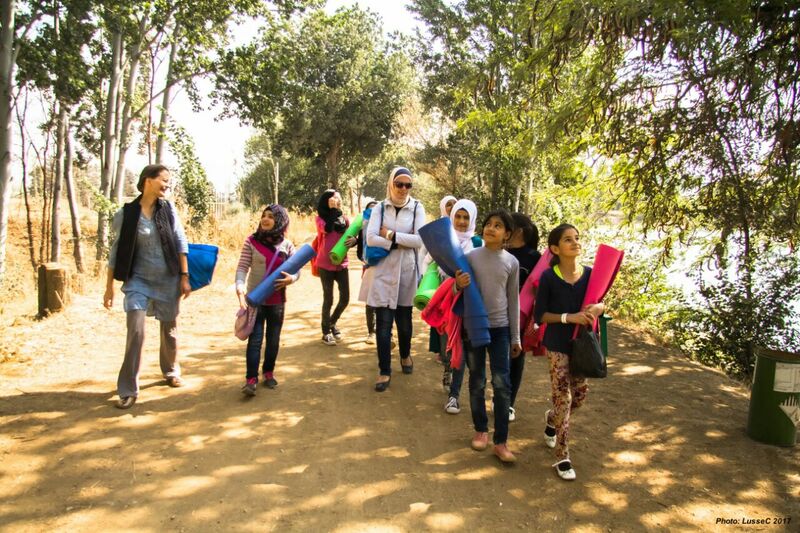 We are also looking for experienced yoga teachers to volunteer in Lebanon as mentors and guides.